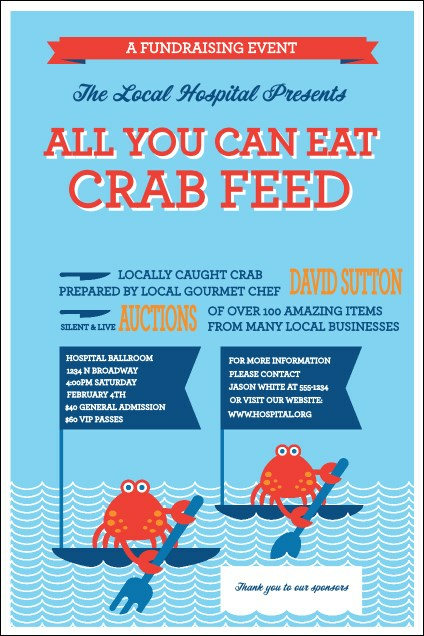 You'll be swimming in sales when you advertise with the Crab Feed Poster! This delightful template showcases seagoing shellfish propelling their tiny boats with dining implements. An array of flags, banners and stylized text in royal and ocean blue, claret, white and gold help promote all the most important event data in 23 lines. Find the right poster for every event when you browse TicketPrinting.com!